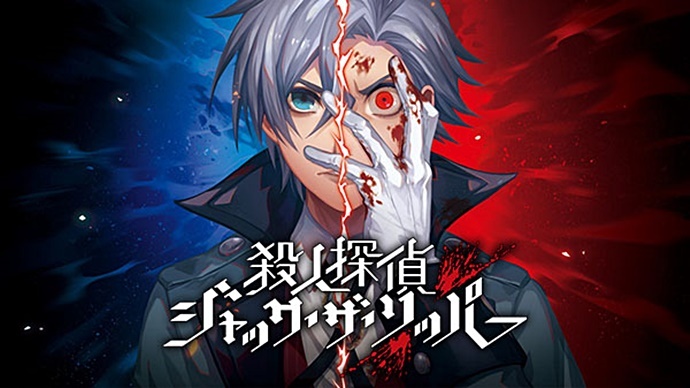 Nippon Ichi Software’s upcoming game Murder Detective: Jack The Ripper is now listed on the Amazon Japan website. Details about the game have been added to the listing and have been translated, courtesy of Gematsu. Will you choose the path of good or evil? Set in a fictional London where medical technology has developed, Murder Detective: Jack the Ripper is a fully-voiced adventure game. While investigating a string of murders, private detective Arthur Hewitt, perhaps from the shock of discovering dead bodies, realizes the existence of “another person” within himself. This leads Arthur, living in strange cohabitation with a phantom that calls himself Jack the Ripper, to become wrapped up in a huge case that revolves around London. “Detective” and “Murderer.” The conclusion of the case changes depending on your choices. This game, a novel adventure, branches into “Detective” and “Murderer” routes depending on your choices. Will you be the intellectual “Detective” or the impulsive “Murderer?” It is good to think from the perspective of, “What would I do if it were me?” The results of your choices will have a major effect on the conclusion of the story. Sub-stories rich in variety. Outside of the main story, there are also sub-stories that players can unlock by meeting certain conditions. From stories between cases to “if” situations where the story plays out with the wrong choices, there is a ton of variety in addition to story supplements. Be sure to check out all of the sub-stories! “Another Jack,” depicted in the chibi art style. This game has bad endings where Arthur may be killed or is unable to solve a case. For each bad ending, a “Bonus Theater” will begin, where chibi art-style characters explain what went wrong through comical exchanges. From meta to risky, anything goes in the Bonus Theater. The characters are also animated. The official Teaser website for the game has also gone live as well as an official Twitter account. Murder Detective: Jack The Ripper will release in Japan on April 25th on Nintendo Switch and PS4. It is not yet known if the game will come over to the west. We have an image of the official box art below.